100% natural, Hydrating Lip Balm that moisturises and replenishes lips as it softens with Coconut Oil, Pear Extract, and Shea Butter. A delectably moisturising lip balm that combines juicy extract of vitamin-rich Pear with creamy, hydrating Coconut Oil. This light formula uses Shea Butter to make lips feel soft and replenished. Coconut Oil is cold pressed from the fruit of Coconut Palm trees, which are native to the tropics. This light, non-greasy oil is known for its moisturisation. Pear Extract is high in antioxidants and helps to protect skin from damage. Pear fruit is nutritive, containing high amounts of vitamins E and C, folic acid, amino acids, and potassium. On the lips, it is moisturising, and nourishing. Flavour Notes: Sweet, creamy coconut blended with fresh, delectable, juicy Bartlett pear. Apply balm liberally to your lips as often as needed. Helianthus annuus (sunflower) seed oil, cocos nucifera (coconut) oil, cera alba (beeswax, cire d'abeille), aroma (flavour), ricinuscommunis (castor) seed oil, butyrospermum parkii (shea) butter, lanolin, pyrus communis (pear) fruit extract, ammonium glycyrrhizinate, tocopherol, glycine soja (soybean) oil, rosmarinus officinalis (rosemary) leaf extract, canola oil (huilede colza), linalool, limonene, geraniol. 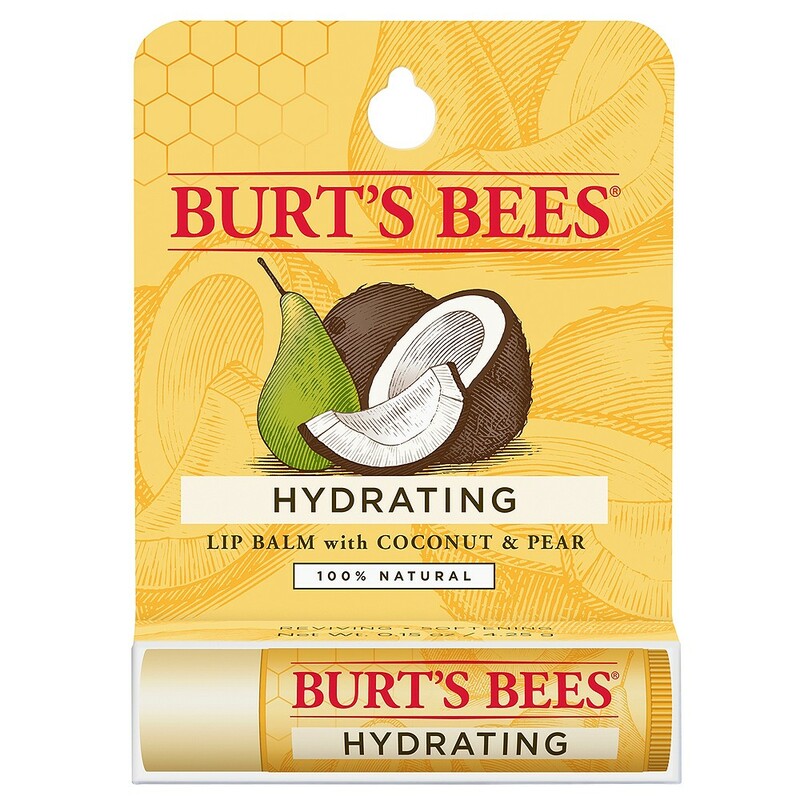 I have always loved the Burt's Bees original lip balm which has a minty flavour but now equally love the pear and coconut. Goes on smooth, keeps moist by without being sticky. After using lip ointments for so long, I never thought I would go back to being a lip balm girl... But after receiving this in a goodie bag, safe to say I have been converted! My lips have never felt more hydrated throughout winter (and this cold). I can't wait to get my hands on more of these Burt's Bee's lip balms!